Santa Barbara, Calif., November 27, 2017 — The holidays are officially in full swing, and it’s an exciting time to be thinking about all the wonderful memories we’ll be making with our close friends and family members. But perhaps this year, you feel an empty space in your heart for the loved one in your life who has passed away and won’t be a part of your annual holiday traditions. Though grief is a normal part of life, it can be especially difficult to cope with loss during one of the most joyous times of the year. As the holidays near, you should acknowledge that there will be hard times ahead as you mourn your loved one. Remember that everyone grieves differently, and that it’s okay to not feel okay. If there are children in your family who are also coping with loss, focus on their needs and help them process through their grief. Make a conscious decision when it comes to carrying on your holiday traditions, or considering starting new ones. Continuing the old traditions may help keep your loved one’s memory alive, but setting new ones may help you to move on. Honor your loved one’s memory, whether it is through a beloved holiday tradition, or by sharing stories about them with your friends. Remember that although they are gone, their memory will always live on in your heart. Don’t forget to take care of yourself by getting a proper amount of sleep, eating healthy and exercising when you can, but without forcing too much of your energy. Taking care of your body will help alleviate stress and improve your overall well-being. Surround yourself with a supportive community that will be with you every step of the way as you cope with your grief. Don’t be afraid to ask for help when you need it. 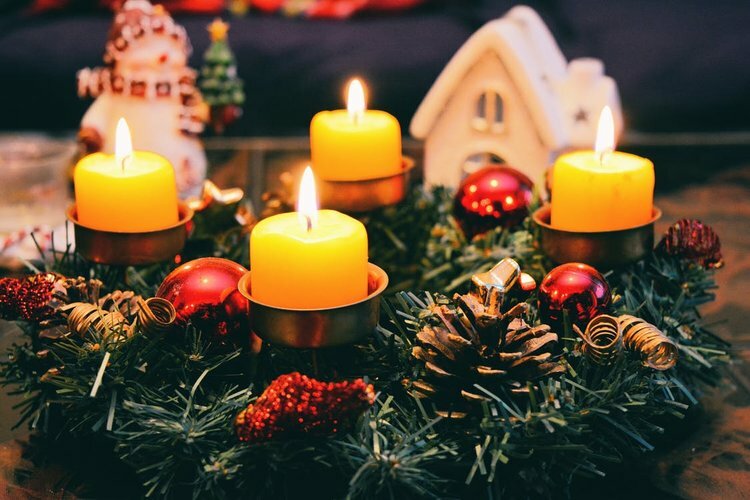 And, in hopes of making the holidays brighter for you and your family, we cordially invite you to celebrate and honor the lives of your loved ones at Hospice of Santa Barbara’s 34th annual Light Up A Life ceremonies. The three ceremonies, which will be held in Santa Barbara, Goleta, and Carpinteria, will feature special speakers and guests, entertainment, and the lighting of a memorial tree. Stars are available online and will be available at each ceremony for a suggested donation of $15 or more for those wishing to personalize a star to hang on the tree. All proceeds will benefit Hospice of Santa Barbara. We hope to see you there.